Ruby and her little brother Kush are excited when their grandmother arrives from India to live in Canada. At bedtime, she delights them with tales of a magic spinning loom and a world called Goodiestan with mystical creatures. 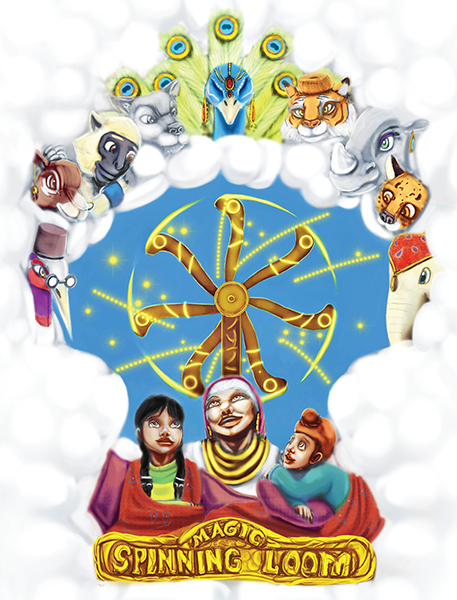 One night, after their grandmother falls asleep, Ruby and Kush stumble upon her magic spinning loom. With a turn of the spinning wheel, the loom propels them into Goodiestan. Nothing about their life has prepared the children for this amazing adventure and encountering spectacular creatures called the Jantu. The children discover they will have to save the enchanted Jantu empress held captive by a tyrant king to get back home. Will the children be lost forever in Goodiestan, or will they find the enchanted empress and find their way back to their family? Copyright © 2007 Artist Blueprint Company. All rights reserved.